Parsley is a biennial plant with bright green, featherlike leaves and is in the same family as dill. This herb is used in soups, sauces, and salads, and it lessens the need for salt in soups. Not only is it the perfect garnish, but also it is healthy; it's rich in iron and vitamins A and C.
For a head start, plant seeds in individual pots indoors 10 to 12 weeks before the last spring frost. For better germination, you can soak the seeds overnight. Plant the seeds 3 to 4 weeks before the last spring frost because parsley is a slow starter. (The plants can handle the cold weather.) It can take up to 3 weeks for the plants to sprout. Plant the seeds in moist, rich soil about 6 to 8 inches apart. For thinner plants, plant about 6 to 10 inches apart. Try to pick an area that is weed-free; that way, you'll be able to see the parsley sprouting after about 3 weeks. You can use a fluorescent light to help the seedlings grow. Make sure it remains two inches above the leaves at all times. To ensure the best growth, the soil should be around 70ºF. Plant parsley near asparagus, corn, and tomatoes in your garden. Be sure to water the seeds often while they germinate so that they don't dry out. Another method of storage is drying the parsley. 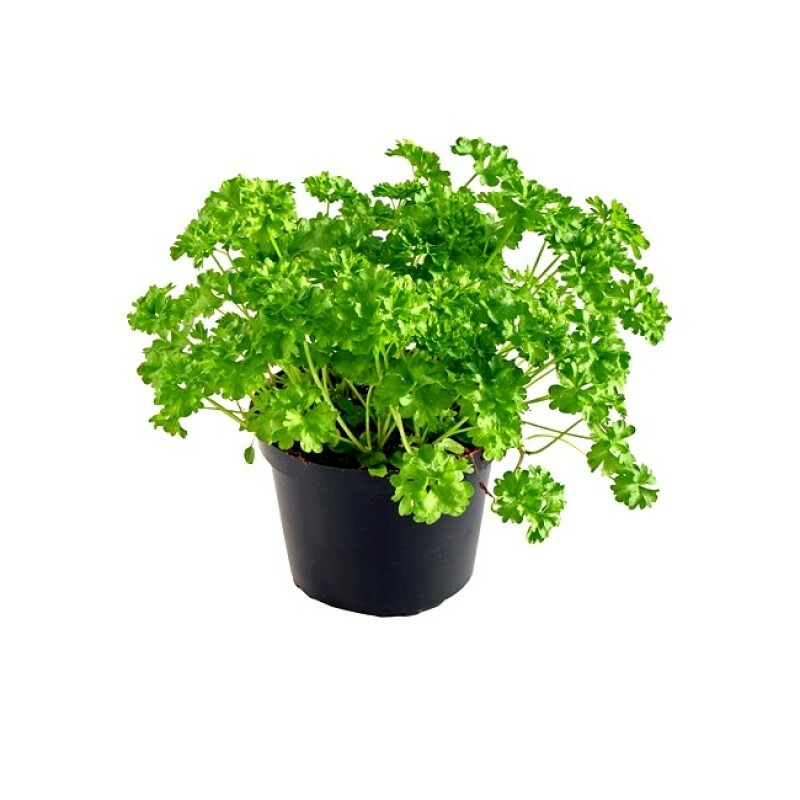 Cut the parsley at the base and hang it in a well-ventilated, shady, and warm place. Once it's completely dry, crumble it up and store it in an airtight container.